The Audiology Department at the Arkansas School for the Deaf provides a variety of services which include the identification and management of hearing loss. Service delivery involves diagnostic evaluations, fitting of appropriate amplification and troubleshooting amplification such as conventional hearing aids, bone anchored hearing aids, cochlear implants, and infrared systems. 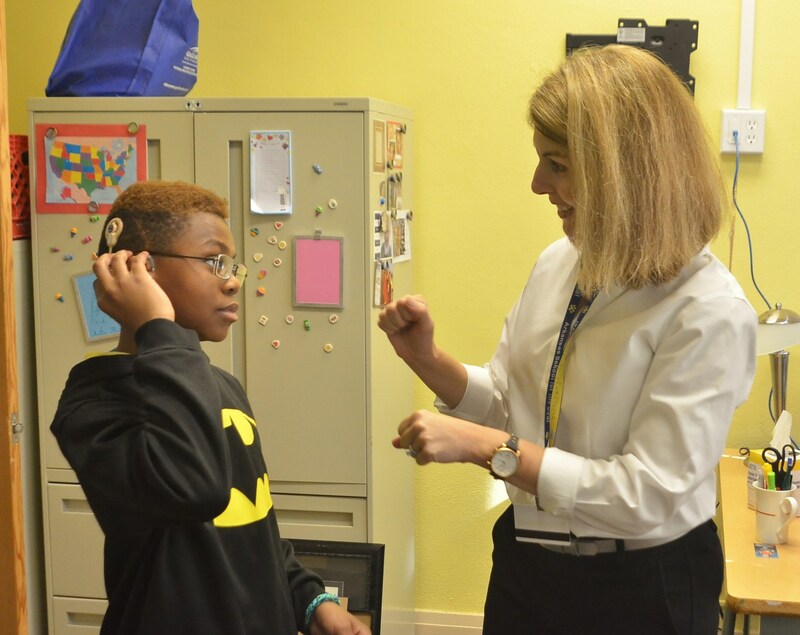 Our senior audiologist also provides parental counseling regarding the educational effects of hearing loss for our students that matriculate at ASD and also for those deaf and hard of hearing individuals, ages birth to 21, who are served across the state through our ASD Outreach Program. ASD have two audiologists. Dr. Brooks Gibson Wolfe has been our senior audiologist for the Arkansas School for the Deaf for 25 years. Prior to that, she was the infant hearing supervisor for the Arkansas Department of Health. She manages the audiological service provision for students at ASD as well as assisting our Outreach audiologist with hearing testing and appropriate intervention for those hearing-impaired infants and children across the state. Her passion is to help each hearing-impaired child reach their full potential by working with other disciplines, e.g. speech-language pathologists, psychological examiners, and teachers. 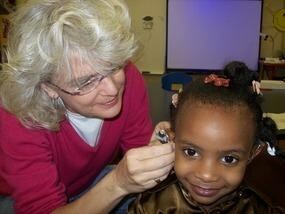 Dr. Mary Martha Henry is our audiologist for the Arkansas School for the Deaf. Dr. Henry began her career working with Deaf/Hard of Hearing in the early 1990's. She graduated from Millsaps College in Jackson, Mississippi with a BA in Elementary and Deaf Education. After graduating, she moved to Little Rock where she completed a Master of Science from the University of Arkansas for Medical Sciences. Afterward, she earned an Au.D degree from the University of Florida. Her first job in the field of audiology was at Arkansas Children's Hospital. For ten years, she had the opportunity in most areas of pediatric audiology including educational audiology. Dr. Henry began working at the Arkansas School for the Deaf in 2012. She is able to combine her unique backgrounds of Audiology and Deaf Education. She spends part of her day using an auditory phonics approach with certain kids in a reading group. She also does an individual auditory therapy as well as keep the students' equipment running smoothly.